1. 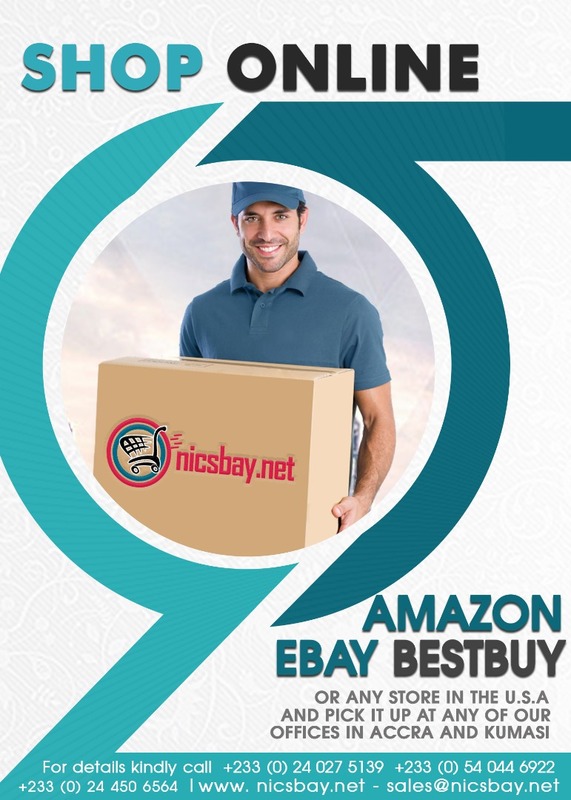 Is NicsBay a registered company? 2. Can I shop here with a VISA / MASTER CARD? Currently NO, but Yes you can very soon as we are working on our card payment system which includes buying with your VISA / MASTER CARD and also applying for our branded Cards which you could even load funds with Bitcoin and other CryptoCurrencies and spend almost anywhere in the world as long as there is an ATM available! 3. How do I use Mobile Money to buy items in Ghana? 4. How long will it take for my transaction to be processed? 5. What email address is recommended to Signup on your platform? It is required of you to use any valid email account, for eg Gmail or Yahoo or Microsoft to register on our website. Please make sure your email is correct else you wont be able to receive any verification mail to activate your account. 6. Can my account be Blocked? or Why is my account blocked? If you are found doing fake transactions a number of times, your account will be permanently blocked. Make sure you do one transaction at a time. 8. How does one acquire bitcoins? By purchasing bitcoins at our Bitcoin exchange. 9. How can I reach you whenever I have an issue with my accounts or orders? 10. Do you have any Social Media pages i can follow or join? Yes Follow us on Twitter, Facebook, and Instagram! Do not Miss any of our updates, stay in touch with us ! 11. Is your eShop a reliable place to shop online? Yes, You can comfortably use our eShop to buy almost anything available, we would deliver it to you, we are working on expanding it to become one of the hottest market place across Africa where sellers meet buyers and simply pay with Bitcoin, Mobile Money or any bank options available. Currently we deliver all around Ghana and Nigeria, feel free to shop ! 12. How to I fetch my transaction ID on blockchain & other wallets? 13. Can i request for quote of items? 14. How do I get my products listed ? Get in touch with the support team through this email (sales@nicsbay.net). Thorough discussion would be held to get the rights details to list such items.